The 352-page book will sell for $20.00. It includes dozens of buy one, get one free and 50% off discounts that do not expire until February 1st, 2018. 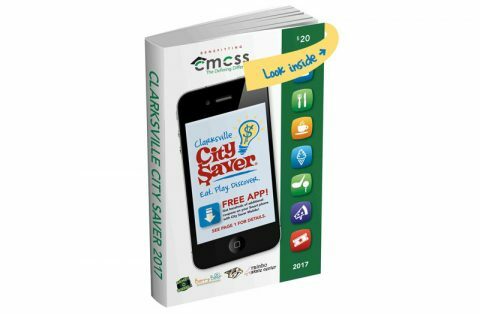 This book is different than any other fundraiser because of the return on investment for all who purchase and use City Saver coupons. Once again, the purchase of a book will include the popular Clarksville City Saver smartphone app, which allows consumers to redeem additional coupons on any iPhone or Android device. For every book sold, 50% will go directly to the individual school and 10% will go to the CMC Education Foundation. Liberty Park Grill, Edward’s Steakhouse, Old Chicago Pasta & Pizza, Harbor Cafe, Sakura Japanese, Dickey’s Barbecue Pit, Sonic, Penn Station Subs, Culver’s, Smoothie King, Berry Bear and Jet’s Pizza are just a few of the great restaurants featured in the book. 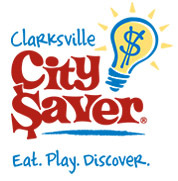 This year’s fun stuff section contains great savings to popular local attractions including Austin Peay Athletics, Excape Games, Roxy Regional Theatre, Rainbo Skate Center, Tie Breaker Park, Skyline Lanes, Gamez on Wheelz and several local dance and gymnastics studios. The book also contains discounts to several popular Nashville attractions such as the Sky High Sports, Climb Nashville, Nashville Zoo, SOAR Adventure Tower, Cheekwood Botanical Garden, The Frist Center and Zanies Comedy Club. The book also contains discounts to Firestone Complete Auto Care, Plato’s Closet, Great Clips, Hardware City and several other local shops and salons.